The subpoena has had a chilling effect on clients and has led to defense lawyers citing the investigation in motions to have the Shapiro firm disqualified from cases. One judge, according to the petition, has said in open court he will deny all summary judgment motions filed by the law firms named by the attorney general based solely on the existence of the investigation. In an interview, attorney Gerald Richman, who is representing the Shapiro firm, said he did not know who the judge is. He denied the Shapiro firm falsified any documents. Ok, well how can anyone make such a statement without clarifying who the judge is? This is clear speculation! This statement is clearly hiding some important crucial information. Rumor has it but not confirmed that some Foreclosure Mills have been stocking up on real estate they foreclosed on into trusts. Again this is just a RUMOR! I say keep on digging…eventually an ant hole will turn into a sink hole! TampaBay.com recently exposed how some foreclosure mills are striving with wealth. In particular one law firm in the Fort Lauderdale area. Here is another ‘Mega Estate’ under a “CERTAIN TRUST AGREEMENT” c/o The Law Offices of David J. Stern, PA 900 S. Pine Island Rd., Suite 400, Plantation Florida 33324. This is not far from his other $15,000,000.00 dollar “Mega Estate” and his $5 million dollar Ft. Lauderdale Beach condo. This Hillsborough Estate, like his Ft. Lauderdale Estate also features a tennis court. According to BCPA.net this double lot MEGA ESTATE was purchased for a combined total of $17,000,000.00 in 2008. Mr. Stern’s ‘nonlegal’ company DJSP Enterprises, Inc recently filed their Form S-8 with the SEC. I wonder where all these SHARES are going? As a manager with the Los Angeles County Registrar Recorder, I am in charge of the software development team who creates applications to handle property document recording. Whenever one buys, sells or refinances a house or land, property documents are generated. These documents must be submitted to a County Recorder for storage and indexing to be made available as a public record. Los Angeles County – having well over 10 million residents – is the most populous county in the United States and contains 88 separate cities. As such, my office records – or processes – over 2 million property document recordings per year. The transport, handling and mailing back of paper documents is an overwhelming task. It is also very expensive both in terms of labor and time. For years, the various county Recorder offices wished to pursue something more streamlined. With the advent of newer, less expensive and more accessible technology, the possibility of scanning in documents at the title company (http://en.wikipedia.org/wiki/Title_insurance) offices and electronically sending these documents to the county offices is a reality. State law, however, impeded the process for many years. Up until today, only Orange and San Bernardino counties were allowed by law to electronically record title company documents. In order to change this, several County Recorders worked with the State Legislature and Attorney General office to pass a law (AB 578 – http://ag.ca.gov/erds1/) entitled the Electronic Recording Delivery Act, which enabled a statewide standard and governance for an Electronic Recording Delivery System (ERDS). Los Angeles decided to partner with Orange, Riverside and San Diego counties to move forward with an in-house developed system, which allowed for economies of scale, flexible implementation and leveraged the 10-year electronic recording experiences of the Orange County Clerk-Recorder. The new system was dubbed, SECURE. It was developed by in-house staff, along with a contractor, who also maintains (as a vendor) the current Orange County recorder system. All four counties own the software and work together to move forward with improvements. [CLICK ABOVE FOR LARGER IMAGE]The above screen shows the common submitter client to be used by title companies, service providers and other institutions in order to submit documents. In this case a Deed is being prepared to be sent to Los Angeles County. The submitter – if authorized – is able to send these documents to any county in the system.Each county participating in the SECURE system is able to leverage the infrastructure built for the system and hosted at the Orange County data center. This data center is a purpose-built facility designed for extreme reliability and high availability. All title companies and other submitters – such as banks – will submit documents through an encrypted Internet connection to the Orange County data center. The documents will be held there until the various participating county recorders pick them up and process them.The structure will look similar to this: All submitters – Financial Institutions such as banks, Title Companies and eventually governmental departments such as the IRS and SSA –are able to use the common client, submit to the common data center and be assured that their documents are routed to the appropriate County Recorder.The system started out on December 1, 2009 with only Orange and Los Angeles counties active. Within six months, it is expected that other counties will be brought online. As the system is enhanced and developed title companies will be allowed to submit more documents and eventually scale back their paper handling processes altogether.This will result in a decrease in costs to the title companies as well as to the counties as a result of paper handling efficiencies. Of the two million annual documents recorded and by the Los Angeles County Recorder, 60% will be able to be processed eventually through this system. Since each document must currently be mailed back to the customer by the recorder, an annual savings in postage and mail handling is expected to show efficiencies.Once the document has been submitted to the Recorder office, it will be examined and – if valid – accepted for recording. The document will be stored in the recording archive and is available for further activities as needed by the general public. [CLICK ABOVE FOR A LARGER IMAGE]After the document has been recorded, the lead sheet (in the case of LA County, who attaches a separate sheet to the front of each document) and the first page are returned to the submitter. They are then able to print and mail the document back to the customer. [CLICK ABOVE FOR A LARGER IMAGE]As seen in the above image, the recorded document has been automatically returned to the submitter. At this stage, the process is complete for the county recorder.Since the SECURE (www.secure-erds.com) group owns the software, the counties will be free to upgrade and enhance the software to fit future needs. These future processes will include an interface to allow banking institutions direct access to send documents such as reconveyances and liens directly from their internal systems. This will further reduce costs as those documents are currently delivered via certified mail. Further enhancements will include electronic delivery of notary signatures, when that becomes allowed in the state. Because the system is built to abstract the back-end recording system from the delivery system, any number of California counties are able to join as participants and leverage the infrastructure already built by Orange, LA, Riverside and San Diego counties. National foreclosure auctions go online via LPS: "CAVEAT EMPTOR"
The Duval County Clerk’s Office has offered online bidding for foreclosed properties for some time, and now Jacksonville-based Lender Processing Services is bringing bank-foreclosures all over the U.S. online. Through its LPSAuctions.com Web site, LPS is to open bidding on single-family homes, condominiums and town homes from Coral Springs to Tacoma, Wash. The bid deadline for the homes listed in the “Spring Clearance” auction on the site is May 10. So now it’s official they have they’re hands in all Real Estate! My question is how…why would any state permit them to sell anything if they are under the scope of the FEDS?? Take a look below. BOGUS ASSIGNMENTS 2…I’m LOVING this!! LPS DOCx ADMISSIONS SEC 10K ROOFTOP SHOUT OUT! WHO Would have thunk? This is why some are in the poe house…Some of do have morals. continue HERE to see this SCAM! known falsities in the complaint – a “flagrant abuse of the judicial process” worthy of severe sanctions. See Martin v. Automobili Lamborghini Exclusive, Inc., 307 F.3d 1332 (11th Cir. 2002). Dismissal for fraud is appropriate where “a party has sentiently set in motion some unconscionable scheme calculated to interfere with the judicial system’s ability impartially to adjudicate a matter by improperly influencing the trier of fact or unfairly hampering the presentation of the opposing party’s claim or defense.” Cox v. Burke, 706 So.2d 43, 46 (Fla. 5th DCA 1998). Yep you gone done it again…This time you messed with the WRONG assignments…MINE!!! Law Offices Of David J. Stern ESQ, P.A…. PLANTATION, Fla., Feb. 9 /PRNewswire-FirstCall/ — DJSP Enterprises, Inc. (Nasdaq: DJSP, DJSPW, DJSPU), one of the largest providers of processing services for the mortgage and real estate industries in the United States, today announced financial results for the three and nine month periods ending September 30, 2009 for its recently acquired processing operations. The operating results discussed in this press release reflect the separate operations of the acquired business for the periods presented on an adjusted basis, each of which occurred prior to the closing of the Business Combination with Chardan 2008 China Acquisition Corp on January 15, 2010. Revenue for the quarter increased 44% to $73.0 million from $50.6 million in last year’s comparable period. For nine months, revenue increased 29% year over year to $189.8 million. Adjusted Net income was $10.4 million in the third quarter. For the nine month period, adjusted net income was $32.4 million or $1.65* per share. Adjusted EBITDA for the third quarter was $16.4 million, and for the nine months was $50.7 million. *Calculated using treasury stock method assuming a common share price of $8.14; Assumes 19.62 million shares outstanding; Assumes adjusted net income for nine months ended September 30, 2009 of $32.4 million. Chardan 2008 China Acquisition Corp. closed its business combination with DAL Group, LLC on January 15, 2010 and changed its name to DJSP Enterprises, Inc. and its NASDAQ symbols to DJSP, DJSPU and DJSPW. Continue reading HERE (NOTE: MSN took this article down off it’s site) HMMMMMMMM I smell FISH! go to the others below! NASDAQ, DJSP Enterprises Major Shareholders David J. Stern (Law office Foreclosure Mill) and Kerry S. Propper Subject of Department of Justice Investigation And SBA Law Suit. Wolf in Sheeps Clothing…First SHOW us CitiMortgage you OWN OUR NOTE!!! Thanks But No Thanks CITIMORTGAGE! SHOW ME THE NOTE FIRST! Citi recently agreed to give qualified borrowers six months in their homes before it takes them over. It will offer these homeowners $1,000 or more in relocation assistance, provided the property is in good condition. Previously, the bank had no formal process for serving borrowers who failed to qualify for Citi’s other foreclosure-avoidance programs like loan modification. BOGUS ASSIGNMENTS 2…I'm LOVING this!! LPS DOCx ADMISSIONS SEC 10K ROOFTOP SHOUT OUT! Many recall the BOGUS ASSIGNMENTS, FRAUDULENT MORTGAGE ASSIGNMENT TRANSFER VIDEOS I put out with the help from LYNN SZYMONIAK ESQ. of FraudDigest.com. Lender Processing Inc. is the TIP of The Pyramid!! Please click the link to see their admission to this whole scheme of fraud in question. Big Brother has been watching!!! Anyone want shares NOW?? Goldman you just met with them 2/23…Heck your even worst! TOUCHÉ. I WONDER IF THIS HAS ANY CONNECTION? 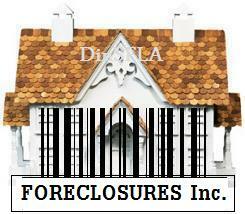 FORECLOSURE FRAUD MERS, LPS …BOGUS ASSIGNEE ASSIGNMENTS…Are you KIDDING ME DOCX??? These are bogus assignments used to foreclose on your home. Imagine a judge accepting this to let them take the roof off of you. There was many of these and they are all over the US.